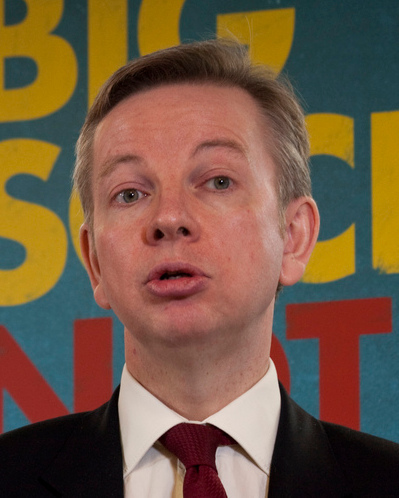 Education Secretary Michael Gove is putting a brave face on the numbers of schools applying for "Free School" status. He told Andrew Marr this weekend that of 700 initially expressing an interest, 16 schools have formally applied to adopt this status from September 2011 and that this has "exceeded his expectations". Free Schools will be state-funded, but will remain outside of local authority control. In Gove's vision, it will be parents, teachers and voluntary groups that will be interested in creating Free Schools. He cites similar systems in Sweden and the US; and legislation was passed just two months into the lifetime of this Parliament to allow for their creation. Supporters of the scheme claim it will create more local competition and drive-up standards. But there are many critics, even from Michael Gove's own side of the political divide. Some have argued that the scheme will only benefit middle class parents with the time to dedicate to setting up a school and that it will divert money away from existing schools. Moreover, if having Academy or Free School status becomes a symbol of success, schools remaining under local education authority control will be seen as inferior. Peter Wilby, writing in The Guardian, thinks that such schools will end up being run by private companies rather than parents, teachers and voluntary groups. Paul Carter, the Conservative leader of Kent County Council, stated that under present funding arrangements: "The more Academies and Free Schools you operate ... the less maintained schools would get." The National Union of Teachers warns that the policy could "fuel social segregation and undermine local democracy". The union is already talking about strikes to oppose the Free Schools scheme and the expansion of the Academies programme. Rushed legislation is so often bad legislation. Rather than inventing new types of school to fit in with the Prime Minister's "Big Society", Gove's attentions should instead focus on the buildings programme, whose scaling back he so badly botched after taking office. It has been shown that a good working environment is one of the most important factors in a child's educational development. Besides, do we not have enough different types of school in this country already? Ed Balls, the shadow education secretary, described it as "laughable" that Mr Gove considers his expectations to have been exceeded with the numbers declaring an interest. Our prediction is that the distinction between the Academies and the Free Schools will blur and then disappear. With scant interest from the original audience, the parents and teachers themselves, and private business apparently the only sector of society interested, and in the face of much criticism and the prospect of strikes, the Free Schools programme will be slowly forgotten. Just as with his plans for reforming A-Levels, it sometimes appears that Gove is shooting from the hip, saying whatever comes into his head without thinking. Yes, there is room for improvement in our schools, and yes, there may be scope for greater involvement from the world of business, whether it be in the form of sponsorship or in the day-to-day tasks of school management. But there appears to be little appetite among our busy parents and teachers for taking on the responsibilities of running schools, nor so far from the voluntary sector. The Free Schools notion will be brief, will become subsumed into the Academies programme and will die, not with a bang, but with a wimper.